The Plunja Harvesting Tool functions as its name suggests, giving melee players a fun way to harvest resources in Fortnite. In order to acquire the Plunja Harvesting Tool in Fortnite, you’ll need to have a decent stash of V-Bucks on hand. Running low on V-Bucks? Be sure to check out our guide on how to get V-Bucks in Fortnite. For those who have V-Bucks to spare, read on to find out how to get the Plunja Harvesting Tool in Fortnite! Below, we'll walk you through the process of getting the new Plunja Harvesting Tool in Fortnite. 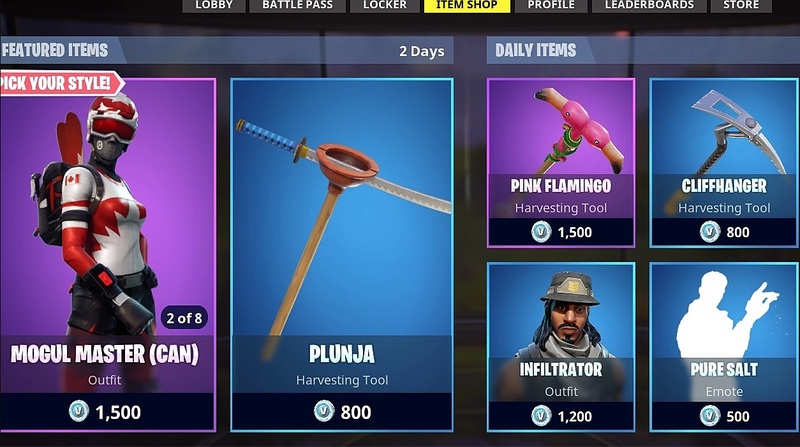 The quickest and easiest way to get the Plunja Harvesting Tool in Fortnite is by heading to the Fortnite Battle Royale item shop and purchasing it for 800 V-Bucks. Upon locking in your purchase, the Plunja Harvesting Tool will remain yours indefinitely (including after the item is removed from the shop). The Plunja Harvesting Tool is strictly a cosmetic item and won’t grant you the ability to harvest resources quicker than other Fortnite players. The Plunja Harvesting Tool, along with the Mogul Master outfit (for 1,500 V-Bucks), will only be available in the Fortnite Battle Royale item shop for a limited time. As such, you’ll want to rack up those V-Bucks as quickly as possible in order to snag a Plunja Harvesting Tool of your very own. 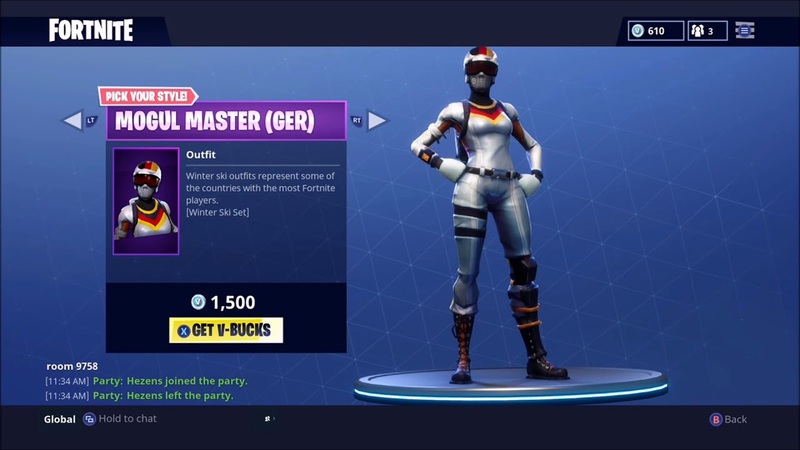 The Mogul Master outfit in Fortnite can be yours for a total of 1,500 V-Bucks. You can rack up more V-Bucks through in-game microtransactions, or for free by completing a variety of tasks. These tasks include quests in Fortnite’s Save The World game mode, and daily Battle Royale challenges, among others. It’s important to note, however, that the Save The World game mode is only available via Early Access purchase. As such, you may want to stick to the daily Battle Royale challenges in Fortnite. Additionally, be sure to go back and reference our guide on how to earn V-Bucks in Fortnite if you’re a little short of the 800 V-Bucks cost of the Plunja Harvesting Tool. By reading through this guide, you should now know how to get the Plunja Harvesting Tool in Fortnite.